Shopping centre “Tropa” is to be opened in December, on New Year’s Eve. The shopping centre is situated within100 m of Konkovo metro station, at intersection of Profsoyuznaya and Ostrovityanov sreets). The automobilists are provided with free inner and outer parking lots for 100 cars. 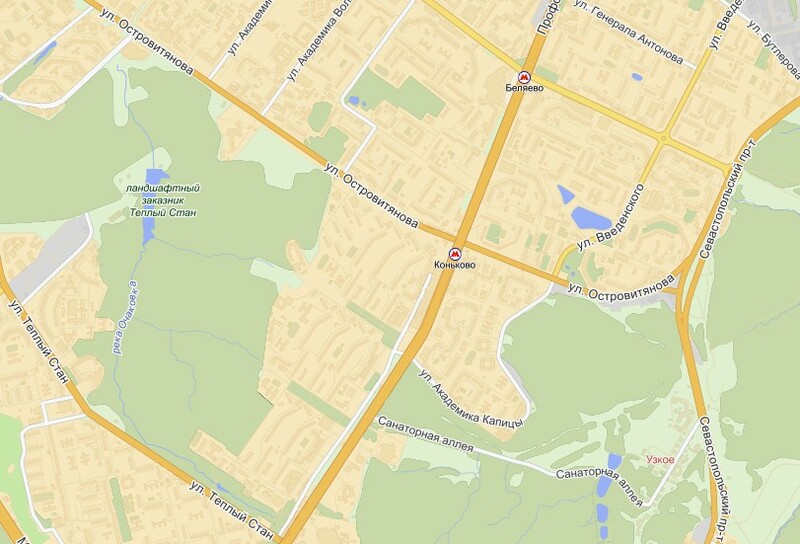 Our address: Profsoyuznaya st., h.118. Decided to renew your wardrobe? Be sure to visit the shops "Gloria Jeans", "Zolla", "CentrObuv". Enjoy sport and active lifestyle? Interested in the latest cellular communication? Stop off at “Megafon”, “MTS” and “Svyaznoy” outlets. "Valtera", "Bronnitsky Jeweller" or Leather accessories shop may inspire you to a purchase. It’s possible to recover strength and take a rest at numerous fast food outlets and restaurants - "Menza", "McDonald’s", etc. Supermarket “Perekrestok”, drug-store "Stary Lekar", optics salon "Eyekraft", dry cleaning and travel agencies will also be situated at Shopping centre “Tropa”.